The month of March has arrived and with it the shadows of the end of this vacation. It seems like it was only yesterday when I was grappling to pack my clothes in time. It seems like it was only last night when I tried to control myself from being mad at the elderly taxi driver of an old model sedan, which would have given up running the streets of Cebu City a long time ago if it only had a choice. I was only a little over an hour away from my flight's scheduled departure, and the cab was running at a very slow pace that I felt I would have beaten it in a race to the airport if I ran instead of riding in it. I could still feel the exhilaration I felt when my plane took off from the runway of the Cebu Mactan International Airport. I was closing my eyes, almost exhausted both from hospital duties and travel preparations, but breathing loosely at last, when the ascend of the plane pinned me to my cushioned seat. It almost felt like I was flying. Looking back, I find this vacation to be one of the best. 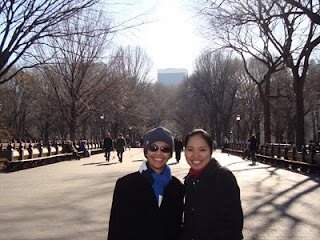 I smile when I remember walking at the Central Park in New York with Jenda and SS. I treasure those moments when we were just looking at the harbor, sipping coffee, while enjoying the view of Jersey City on the other side. I could never forget the breathtaking view of the Empire State Building from where I was standing at the Rockefeller Center. 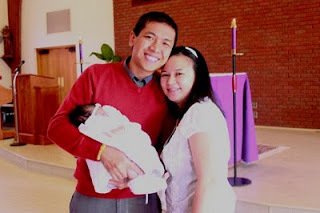 I smile when I remember visiting Rubai in upstate New York and witnessing her evolution into a mother, and Chris into a father, both deeply caring towards the life they brought out into this world, Kharisse. Back in Sweet Home Alabama, things are different from last year. Cancer has claimed my Uncle John D's life two months before I arrived, and it takes a lot of time getting used to not seeing him anymore on his recliner while watching television. He is still deeply missed to this very moment. Now that he is gone, we, my aunt, my mother, and I, have made it a habit to visit his grave right after we attend the church services. The last time I hugged him was last year, when he and my aunt sent me off at the airport on my flight back to the Philippines. I was really hoping and praying hard that that wouldn't be the last time I would hug him, but sadly it was. He had to go. Alligator John D had to go. My Uncle John D got that nickname for having an alligator farm in Everglades, Florida. 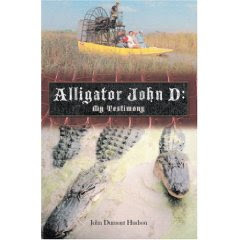 Before Animal Planet, Alligator John D was already there in the Everglades, catching alligators and driving airboats that carried tourists in them. We visited the farm when we went to south Florida. It was like a sentimental journey that all of us, most especially my aunt, had to take. We also met with the new owners of the farm who are my aunt and unc's good friends. Everglades Alligator Farms at Homestead, Florida. This is now owned by Charles and Debbie. I have eaten alligator meat when I was younger but this was my first time to hold a live alligator in my bare hands. Gearing up for the airboat ride. We had to wear earphones to protect our ears from the loud roar of the airboat engine. In the Everglades, I saw a lot of animals which I only saw in books and in Animal Planet, those which I didn't know existed, like the Anhinga bird. I will always remember and treasure those memories of lounging around the Disney Theme Parks and I will never forget the Fast Track at the EPCOT because I lost my Dockers shades somewhere in its test tracks. B gave me those sunglasses and until now, I haven't told her about it yet. Maybe when I come home or maybe she'll know ahead of time when she reads this. The Anhinga spreading out its wings to dry after taking a dip in the water to catch some fish. One of the many storks I visited in the Everglades National Park. The closest encounter I ever had with vultures. Alligators. Sunbathing's all they do when they are full. This gator is opening its mouth not necessarily to scare away spectators but to regulate its body temperature. I still feel elated when I think of that time when I stepped on the southernmost tip of continental United States. That was what actually what we came for in Key West - take a picture of us standing in that monument then start heading back north again. Frolicking at Miami Beach, Florida. I smile when I remember the cold nights I spent with my family in the RV. When quilts were all we had and curling up was all we can do. It was an interesting variety of places where we spent those nights - in a parking area, in a topsy-turvy RV Park, in a posh RV park complete with pool and jacuzzi, in a middle class RV park or campground with average ammenities, and lastly, in a rest area. It was fun having my own slice of the pie of living in a motor home and the length of our Florida trip was just enough not to take all the fun out of it. Now, my two months of lazy abandon is almost up. 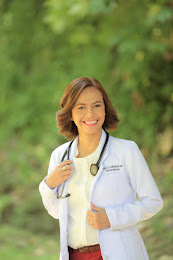 A few weeks from now I will say hello again to sleepless nights, fellow health care professionals, to patients coming in during unholy hours, and yes, to incised abdomens - gravid or not. I actually look forward to going home and being with my friends and family again, but I cringe at the part of going through the daily grind called work again. Can we please be just on vacation all year round? Yes, homeward bound I will be, very soon, and though I cringe at some aspects attached to it, I would like to believe that travel has molded me into someone a bit more learned than when I left it. Traveling exposes us to a lot of different cultures and to worlds which we never know existed. Though only for a short period of time, travel exposes us to the most extreme of conditions and even to the most extreme of emotions and puts everything that defines us an individual to a test. Travel is not always a search for perfection, but about encountering eccentricities we can tolerate and embrace. Or else we wouldn't have left home at all to explore the world outside it. 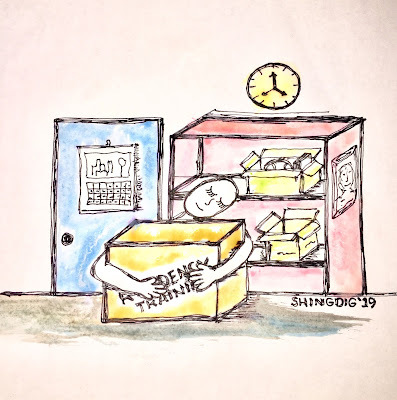 In a search for variation, we explore, and take that big step to leave our comfort zones, and come back appreciating it and valuing it even more. Travel therefore, is pretty much like life itself. No matter how we orient ourselves with maps and brochures, and even if we seek the help of the GPS, there will always be unexpected detours. Travel, like life, is twisted, you never know what surprises await you in the next stop. All we can do is roll with the punches, and think that tomorrow is another day. All we can do is live this life the way we think we should. It doesn't come with a manual anyway, or a GPS for that matter.